Use 7119 points to purchase this product! Biocide is a product developed for efficient operation of low temperature / underfloor heating systems, which should be treated with a Biocide and C100 Inhibitor at first fill or following a clean. E700 can also be used to clean and disinfect fouled systems (poor circulation, discoloured water or bad odours). Underfloor central heating systems can be vulnerable to contamination from bacteria and fungi due to the lower system temperature and slower flow rate than a standard panel radiator heating system. 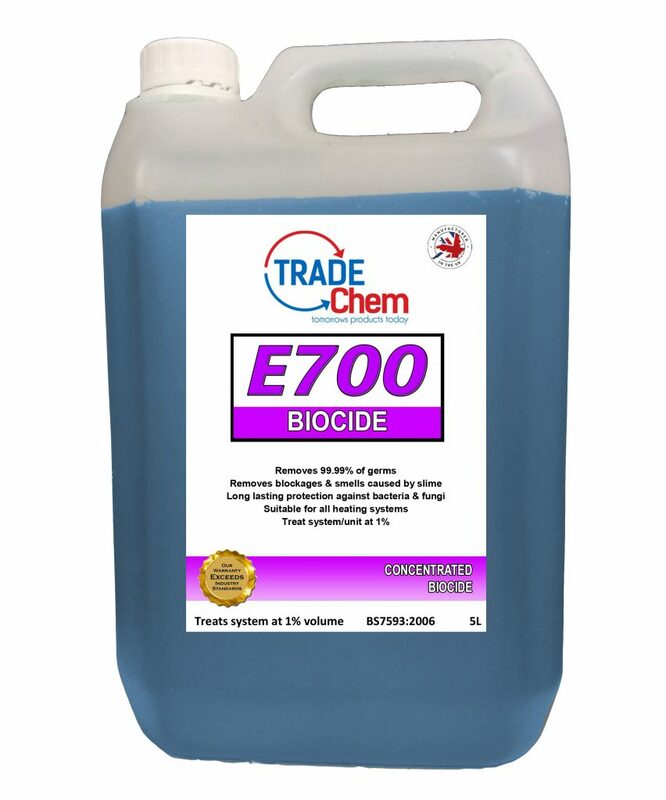 E700 Biocide prevents the development of bacteria and fungi and their associated problems, such as blockages, unpleasant smells, and corrosion within the system.